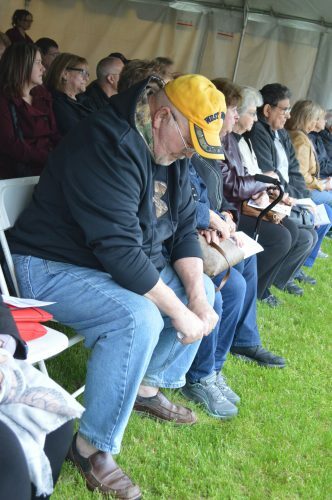 WEIRTON — The industrial history of Weirton was on full display Saturday, with the launch of the inaugural Gate 5 Industrial Arts Festival. Centered at the Weirton Event Center, the festival included close to 20 arts and crafts vendors, live music and more. 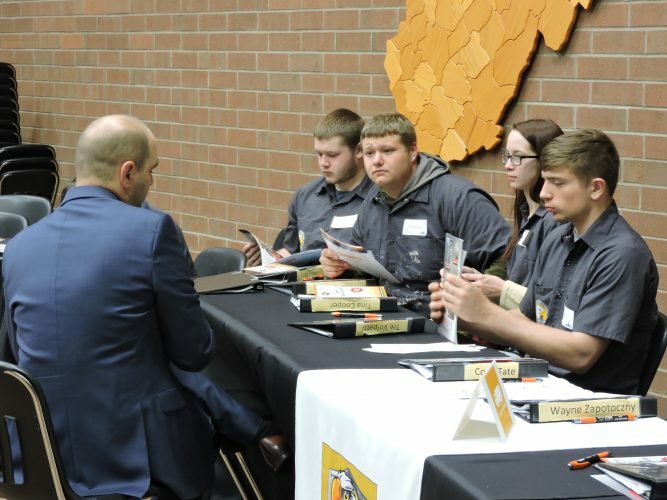 It was conceived as a heritage event for Weirton, celebrating the community’s past and focusing on the industries of steel, clay and glass, while incorporating the materials into a variety of items, including lights, jewelry and clothing. Ford expressed her appreciation to the team of volunteers who have worked over the last several months, bringing the vision to life. “I am so grateful to every single one of those volunteers who came out,” Ford said. 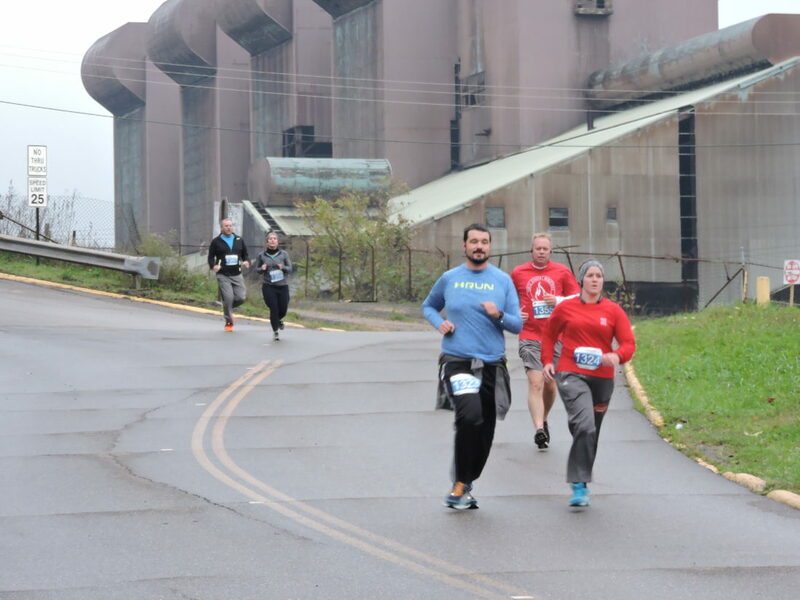 The day began at 8 a.m., with the Tin Man 5K Run and Walk, with 115 racers hitting the course along Cove Road, Weir Avenue, Pennsylvania Avenue and Main Street, all circling the former Weirton Steel basic oxygen plant. The plant currently is in the process of being demolished by the Frontier Group of Companies. 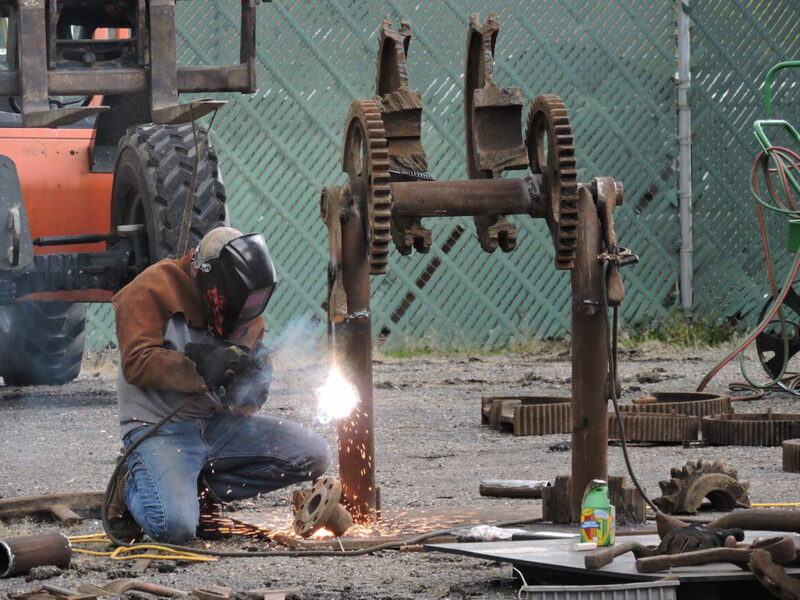 On Lee Avenue, metal artists from the Industrial Arts Center in Pittsburgh spent the day constructing a sculpture out of scrap provided by the Frontier Group and coming out of the former steelmaking properties in Weirton. At Cove Commons, Elaine Klar was overseeing the construction of a mosaic created with the use of Homer Laughlin China Fiesta. “It will be the history of Hollidays Cove and its transition into Weirton,” Klar said. Residents stopped throughout the day to lend a hand, placing broken pieces of china along the designated sections of wall. “People seem to be excited,” Klar said. On the Event Center’s stage, Molly Mossor introduced the community to the steampunk genre with a fashion show, with clothing designed and created by Christine DelGuzzi, Brandy Dorsch, Amy Franey-Cunningham and Carrie Perani-Welsh. Steampunk combines fashion from the Victorian era with industrial accessories such as metal, wheels, cogs, gears, pipes and chains. “You’ve got a whole new genre coming to Weirton,” Mossor said. Attendees also ventured throughout the city’s downtown as part of the Gr8 Gate 5 Puzzle Hunt, visiting a series of landmarks to solve a group of clues. The puzzle hunt was produced by EscapeWorks.